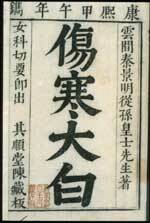 NLM Call Number: WZ 260 L7895h 1740. 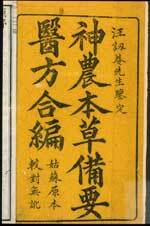 NLM Call Number: WZ 260 U71k 1780. 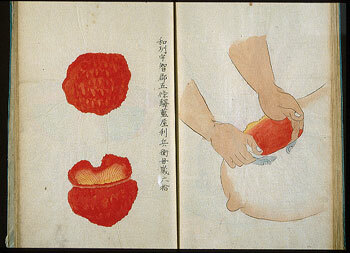 NLM Call Number: WZ 250 L692b 1672. 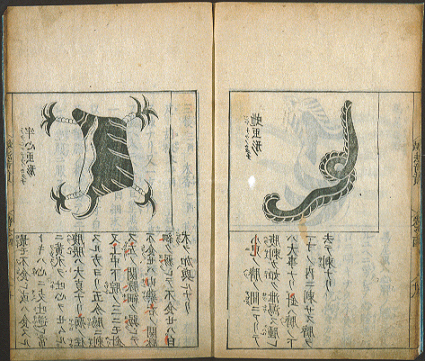 NLM Call Number: WZ 260 W253s 1740. 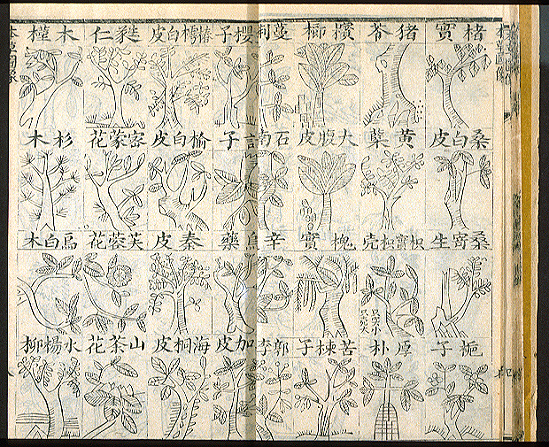 The first volume of this work, shown here, includes drawings of herbs, minerals, and animals. 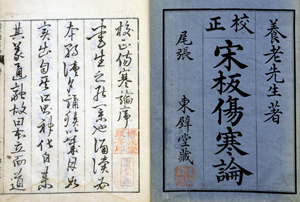 The remaining volumes cover pharmacology and the therapeutic uses of the materia medica. 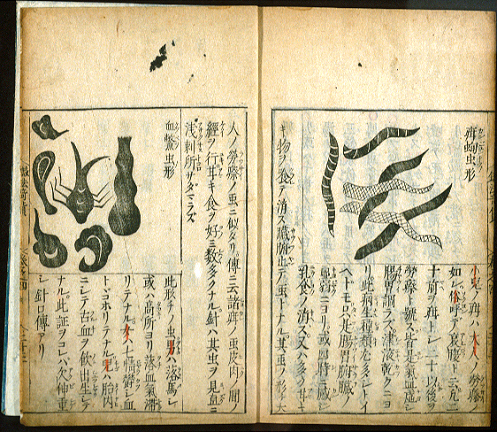 NLM Call Number: WZ 260 Z64k 1797. 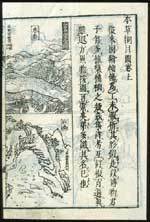 This work is a revised Song dynasty (960-1279 AD) version of Chang Chung-ching's Shang han lun. 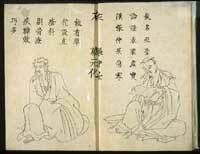 This work is a later interpretation of Chang Chung-ching's classic work on the diagnosis and treatment of cold and fever syndromes. 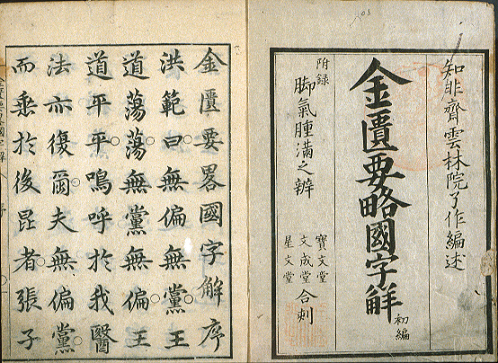 The original author's name and the title of the book appear here on the title page. 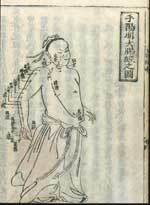 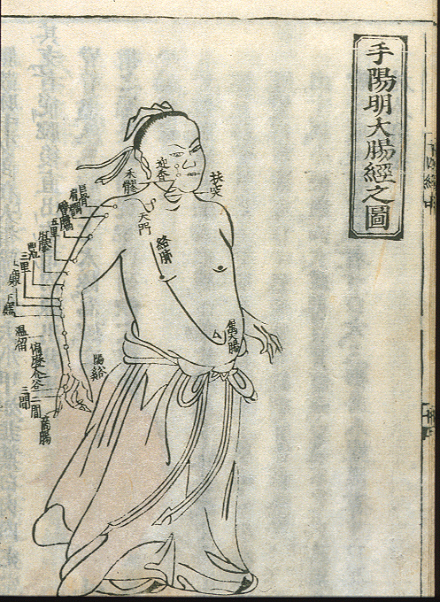 Shown here is a description of 20 acupuncture points on the arm that are used to treat colon diseases. 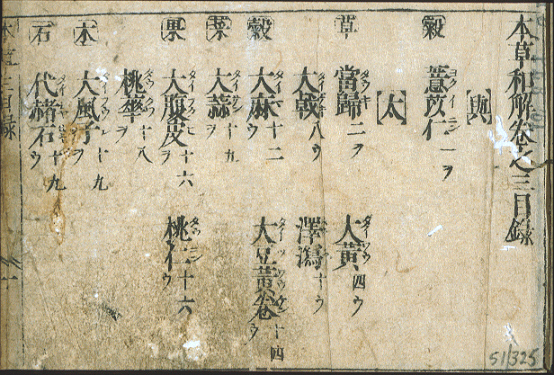 It is written in a sonnet style for easier memorization. These pages show the removal of tumor tissue from a patient's breast (right) and the pathological specimen (left). 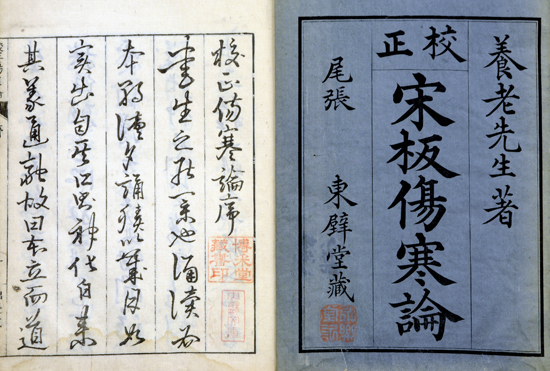 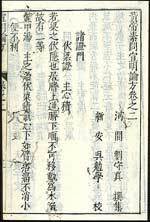 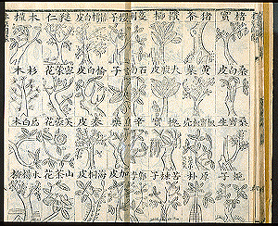 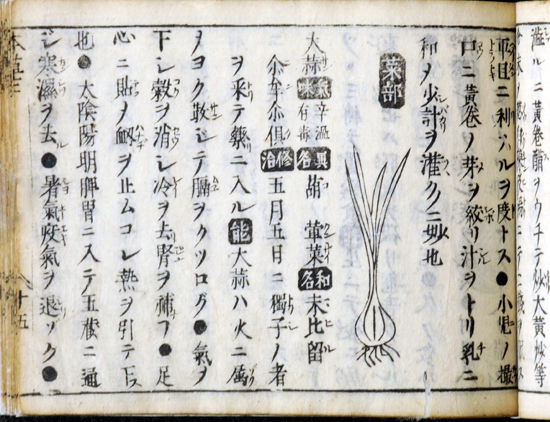 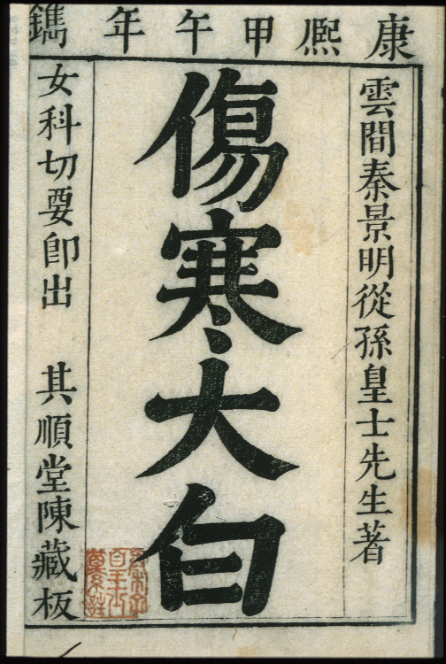 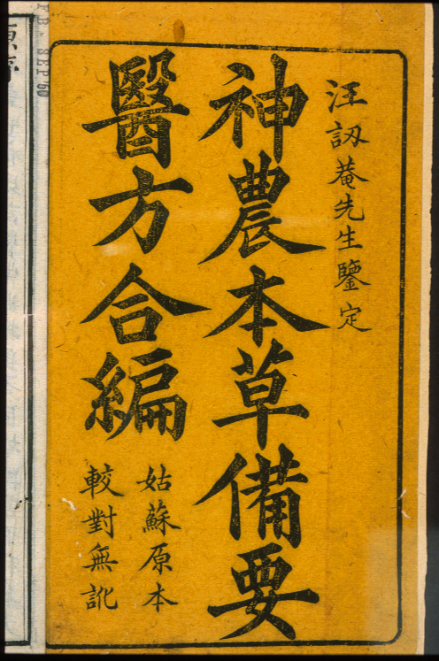 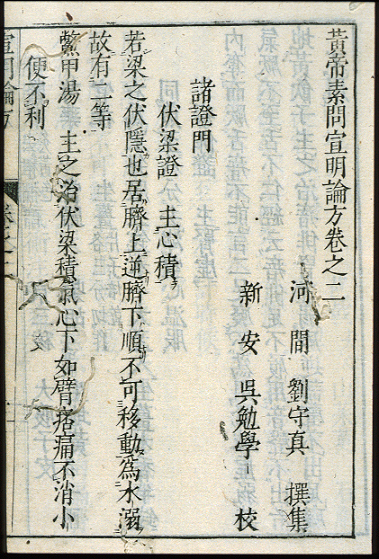 This manuscript describes the surgical procedures of the Hanaoka school, which used Chinese herbs as a general anesthetic. 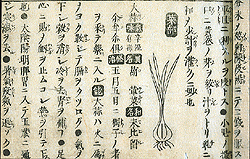 Seishu Hanaoka (1760-1835), a Japanese pioneer in anesthesia, performed the first breast cancer surgery using herbal general anesthesia. 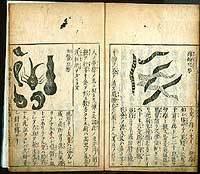 This page describes how acupuncture combined with herbs can treat all kinds of diseases, including those caused by parasites. 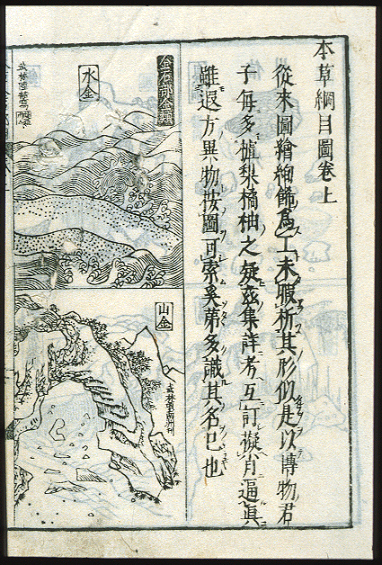 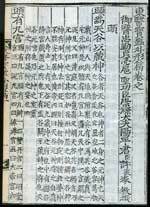 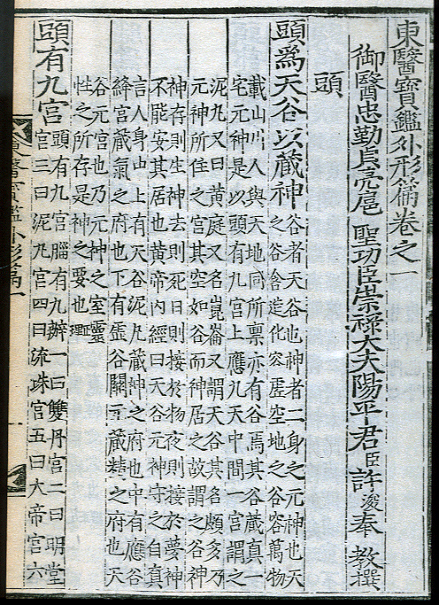 In this work originally published in 1611, the renowned Korean medical doctor Ho Chun compiled and classified the extant medical knowledge of China, Japan, and Korea. 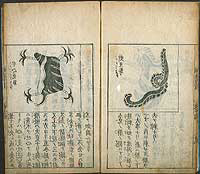 Some of the categories he used were internal environment, external appearances of the human body, miscellaneous diseases, fluid medicine, and acupuncture. 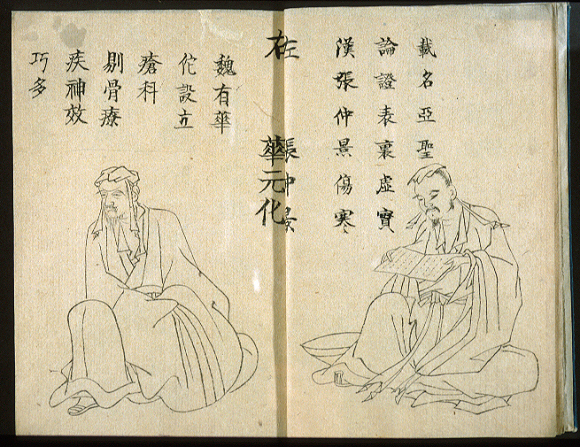 This volume is comprised of 32 illustrations of famous medical men, each accompanied by an admiring poem. 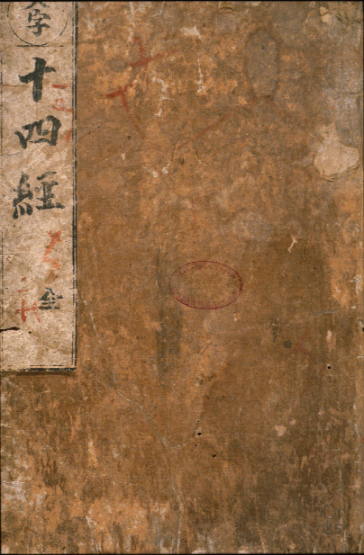 Shown on the right side is Chang Chung-ching.